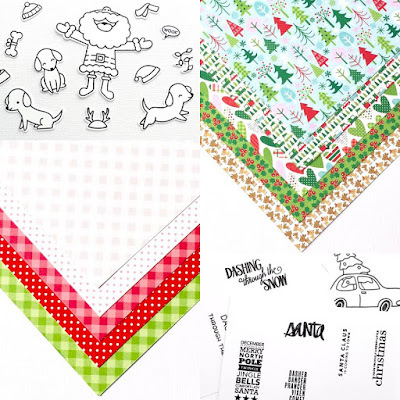 Darling additions to your Christmas Card stash! Oh Tracey, these are all so darling!! The singing Santa is a hoot! I love each and every one of your sweet cards! These are all adorable! I loveeeeeeeeeeee them!!!!!!!!!!!!!!! Love all the DP's included in this kit, and how you used them, Tracey. You are rocking the patterned paper! Love your cards Tracey! Adore each and every one, Tracey! Hard not to enjoy those super sweet papers. All so jolly! 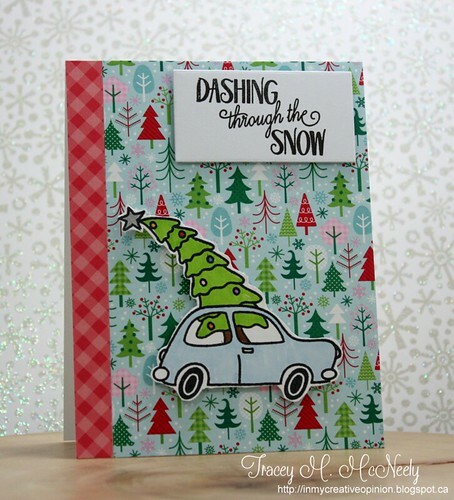 Love how your car and tree dances over the tree paper, absolutely darling! Look at you using so much patterned paper today! I love them all Tracey, CAS beauties..... I know I say that all the time, but they are! Love that sweet puppy over the sentiment on the second to the last card! Such fun cards, Tracey, and that Santa is a hoot! They are adorable cards, Tracey! Super fun colors, too! Kim really did a great job in putting this kit together, but you did a great job in using the kit to create these fun cards! Awwww Tracey, these are all absolutely adorable!! My kind of Christmas cards! Beautiful work on these! Aww, these are so amazingly cute. I love all your cards, and see that you also used all the papers on your card. Wow, awesome designs with the wonderful patterned papers! That background for the car looks fantastic! I love your cards with the pups. My favorite is the amazing little doxie on your last design. You added the patterns and still ended up with a perfect CAS creation! The first thing that strikes me today Tracey is all the layers I'm seeing.. Very unexpected here and I'm LOVING it!!! Still very clean and beautiful as always! Really cute cards, Tracey! I love how you played with the images and all those pretty papers! 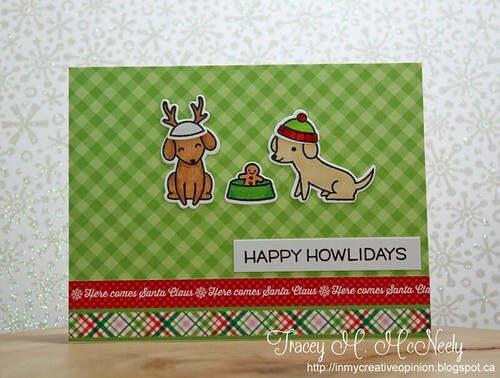 Even with all the layering and patterns, your cards are always crisp and clean...way to go! Love all your amazing and wonderful cards Tracey...so happy to hear that the self assembling kit landed at your house. 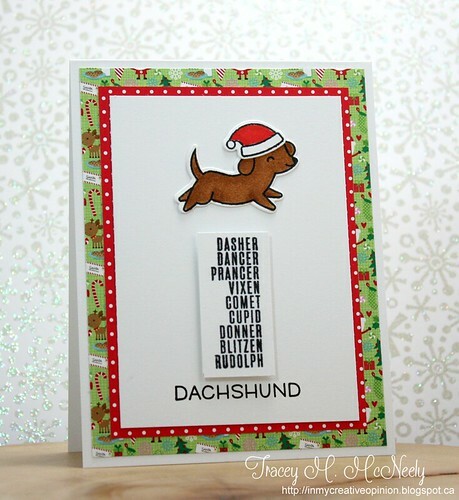 Just love how you used these sweet puppies, just darling and I love the one jumping over and the reindeer names and that you added his name too, so sweet and so stinkin' clever! That patterned paper behind your card is shear perfection, so happy I still have some of it left. Just love that car is powder blue too, so darn cute. Really love all your amazing cards my dear!!! Okay, these are awesome! I love your Santa card, your dachshund added at the bottom of the list is brilliant, and your car card makes me want to buy that set. 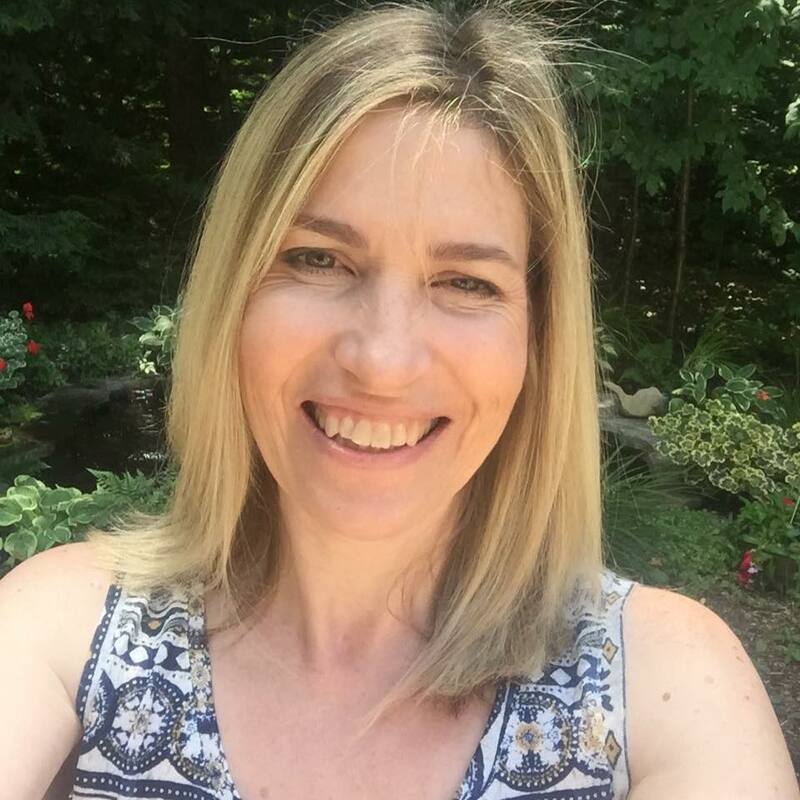 Love these, Tracey!! 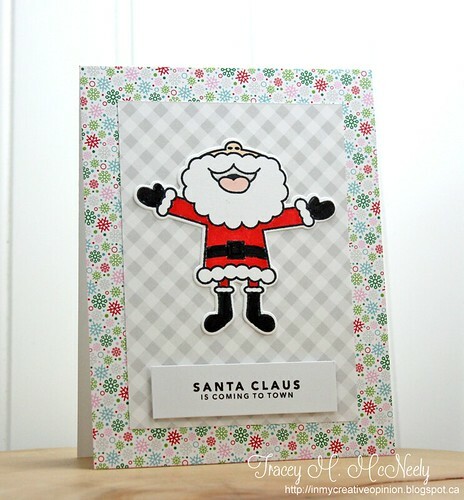 What FABULOUS cards you created with this fun kit!! LOVE! !